When the weather turns colder, thoughts often turn to the luxurious feel and warmth of fur. Whether you’re ready to take the plunge and buy an exquisite fur coat or you’re simply looking to add some luxury to your accessories, it’s good to know a little bit about fur before you start shopping. Here are some of the most popular types of fur to help you make an informed decision. Mink is one of the world’s most popular fur choices with good reason. It’s soft, plush, lightweight and durable, and comes in more natural colors than any other fur. These colors include pearls, blues, lavenders and browns, and the fur is short but very thick and strong. Mink has a short nap and wears well for many years. Chinchilla has increased in popularity in recent years for a variety of reasons. Chinchilla fur is ultra-soft and hypoallergenic, so it’s a perfect choice to add to any fur collection. The fur is extremely dense but lightweight and silky to the touch, and the top layer comes in gorgeous silvery grey, slate blue and white patterns. It’s very warm and can be used in many different ways, from casual to high fashion. Fox is luxurious and fluffy. Long, fluffy and silky, fox fur comes in a variety of unusual natural colors such as silver, red, white and gray. Fox coats have long, fluffy fur, are very warm, and exude a glamorous look. Whether it’s for a garment or trim, cuffs, wraps, hats, headbands or other accessories, fox fur can be used in its natural form or dyed to make a bold statement. Rabbit fur is affordable and beautiful. Known for its versatility, it’s silky, soft, warm and lightweight. It’s easy to dye or alter, whether for dramatic and colorful effects or to mimic more expensive furs. Sable is extremely rare and extravagantly expensive. There are two types of sable: Russian, which is typically brown with a little bit of a silver sheen, and Canadian, usually found in gold and amber tones. Canadian sable is slightly less expensive than Russian sable, but both types of sable are extremely luxurious. Because it’s flashy and pricey, sable is usually worn as formal attire. 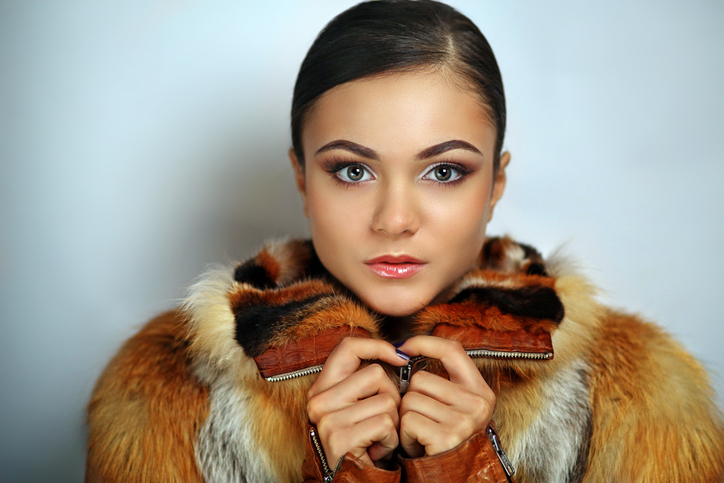 At Andriana Furs, we pride ourselves on offering the highest quality furs at incomparable prices and offering comprehensive storage and restoration services for all your precious pieces. Our dedicated staff has the knowledge, tools and hands-on experience to give you exceptional insight into the world of fur fashion so that you can truly enjoy fur ownership. We’re proud to have been Chicago’s number-one furrier since 1987, and with every season, we continue to earn that title providing the finest quality, style, value and services to meet our customers’ needs. To learn more about us, browse our website, visit our showroom or give us a call at (773) 779-7000 today.